We know how heavy our pockets and purses can be when we have to carry keys for our cars, home, and whatnot. So Car Chabi brings you a little ease by removing the extra weight of your car keys from your pocket and putting the key in your smartphone app. 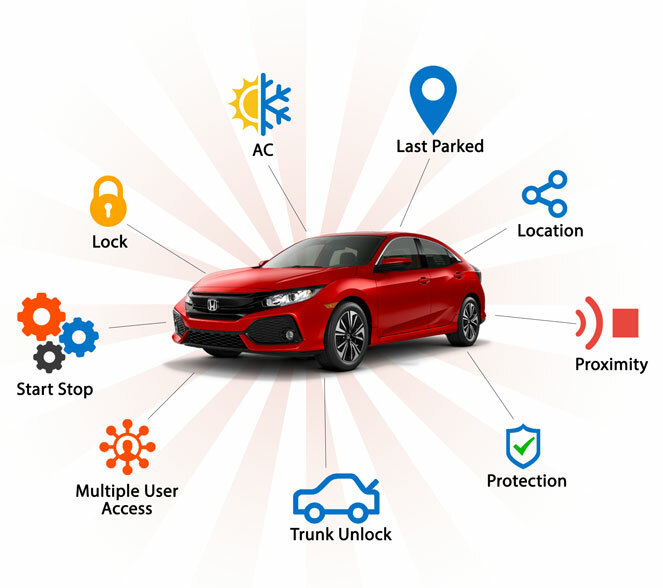 Using Car Chabi, you will be able to remote start your car with an app. Wouldn’t it be awesome when you go in your car and the inside of the car is just at the optimum temperature? Because of the greenhouse effect, the temperature of the inside of a car can reach up to 80 Celcius. So, this is the reason, we are providing you the control of the car AC in your app. Using our app you remote start and control the AC of your car. Car Chabi not only provides you with a remote car start and access but allows you to share your car with anyone you want. We have provided you with a virtual key that you can set. The password is secured hence making sure that they are secure. You can change the passwords whenever you like. Car Sharing with Mobokey is another amazing feature that Car Chabi has pioneered in. This cool new gadget makes your life easier. It gives you a remote car start in your smartphone app. Give your car a cool new update. With our all-new smart device, you can enjoy the features of a high-end car in your car.